As many of you who follow our project on social media, we often add #Makingadifference and over the past couple of weeks we have managed to actually make a massive difference to one little girl’s life. The GLO and SBM School have always worked jointly to bring new hopes in the lives of children coming from Mtepeni and its surroundings who live in abject poverty. Most of these children if not all of them face daily challenges in meeting their basic needs but they are blessed with the special support they get from the our joint projects. 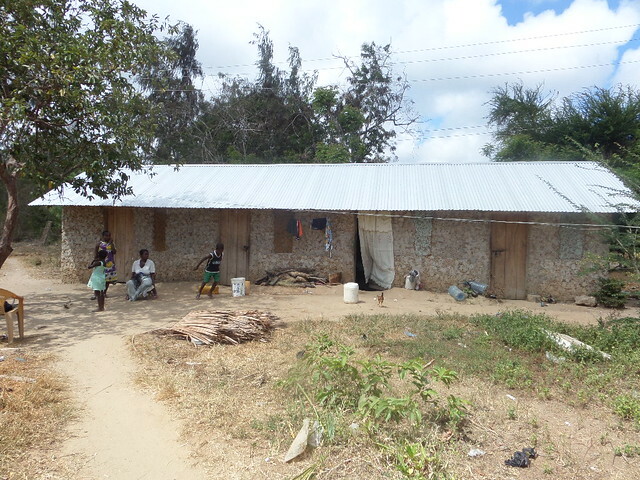 Many live in mud huts or Swahili houses like the one below where four families live in very basic living conditions. They are all guaranteed free primary education, school uniforms and stationery. In addition, most of their psychological and physical needs are also taken care of whenever required as they all benefit from routine counselling and health care services. There are some of the children who also enjoy the privilege of eating lunch at the orphanage especially those who are under the home based support program which we have extended over the past two years. On 29th May this year we witnessed a complex case that if it were not for the special support from GLO and SBM things would have had very serious results. 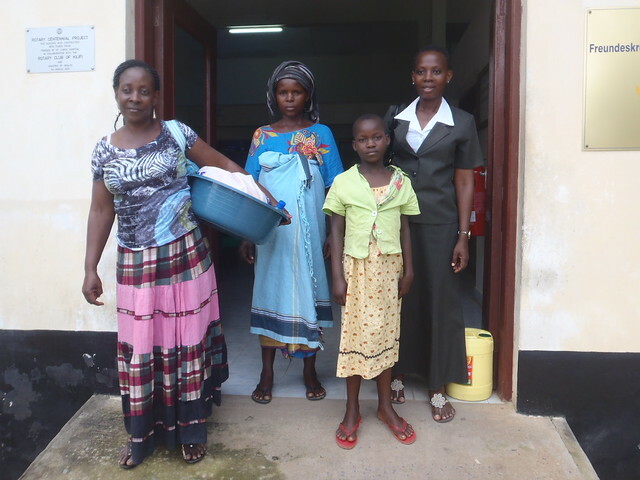 Zainabu Mgoti, one of the children under home based program who usually takes her lunch at the orphanage became unconscious shortly after having her lunch and without hesitation she was rushed to the nearby health centre for medication. The lab technician did some tests to check what was wrong with her as she was not responding, the diagnosis showed that she was suffering from severe Malaria. Since the condition was too severe, they were forced to refer her to the County Hospital for further management of her condition. The movement of Zainabu to the county hospital was made possible at very short notice as our GLO Minibus was on standby so she was rushed there without any delay despite the fact that the hospital is approximately 42 Kilometres away from where the health centre is located. It is difficult for people to comprehend but as there is no NHS, there are no ambulances so people who cannot afford a taxi often travel on public transport even thought their lives hang in the balance. Upon arrival at Kilifi County hospital, she was straight away admitted to the HDU unit under KEMRI which offers funding to our local government hospital in Kilifi, for 48 hours we did not know if Zainabu was going to pull through as she was still unconscious and it took a further two days to regain full consciousness. 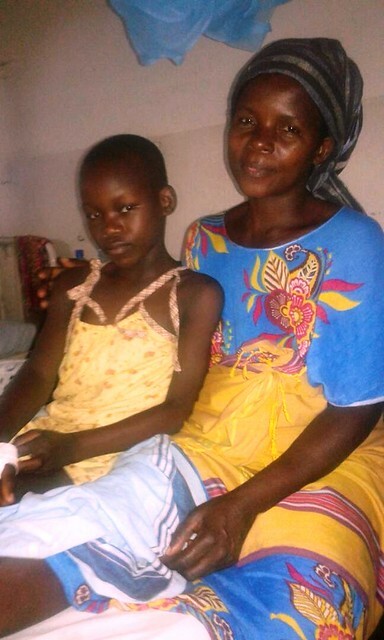 After six days of treatment she was successful discharged from hospital on 4th June but without the financial assistance from The GLO the family could not have paid the rising costs. Zainabu comes from a single parent family, in the first instance her mother wouldn’t have afforded even to facilitate the movement of her from home to the hospital considering the element that ambulance services in Kenya for such cases don’t come for free. 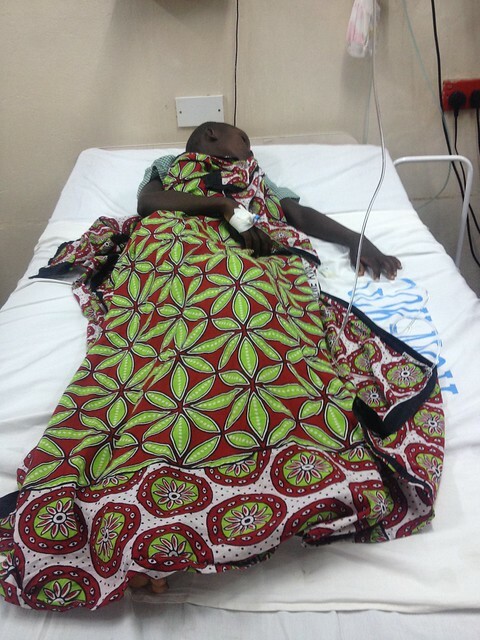 Zainabu would not have received the urgent medication needed and would not have been with us today, that is a stark fact without the quick thinking actions of The GLO staff and the financial support the outcome would have been very different. This is just but one of the many cases that GLO and SBM routinely address and the lives of many children under similar circumstances have been rescued. We appreciate the special support we get from our donors as it is through their generosity that we are able to respond accordingly in such incidences and make a difference. Such a moving story. So happy you could provide the help and assistance needed. You should be so very proud of all the wonderful good works being carried out by the GLO. God bless Zainabu, her mother and all at GLO. But most especially Mary and Kevin. This little girl was in the right place to take ill as you were able to respond so quickly. All thanks to school and home staff to recognise the urgency. I hope Zainabu makes a full recovery and continues her studies. 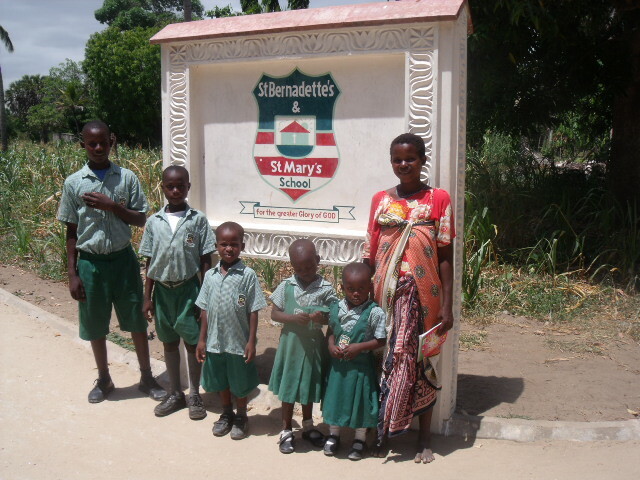 All of these blogs are so heart warming and show what a foresight Mary and Kevin had in setting up this project.